Christmas is almost here! Have you finished your holiday shopping? Do you have gifts for every one? If you need some gift ideas for the tea lover in your life, then you have come to the right place. Let us also introduce you to the newest herbal tea on the website, a detoxifying tea that is said to help fight infections in your body. 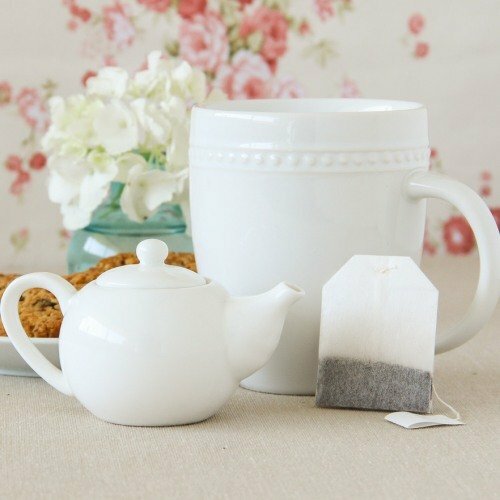 Great Gift Ideas for Any Tea Lover! The holiday season can be quite stressful when you are trying to buy gifts for everyone. You want every gift to be special, unique and meaningful. 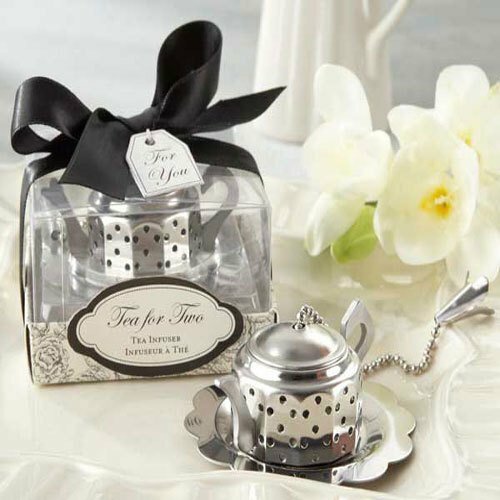 If you have someone in your family or acquaintances that really enjoys tea, then buying something related to their passion may be ideal. Let’s move away from the teapots and cups section of the store, because, unless requested, the tea lover in your life is likely to already have a favorite teapot and tea cups that he or she uses. Christmas tea blends – Find out what is his or her favorite tea brand. Some tea brands come out with their own Christmas blends every year. Being limited edition blends, your gift is only available this year. 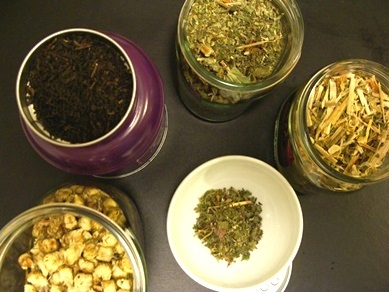 Make your own tea blends – Have you noticed how these days a lot of people are offering jars of hot chocolate mix? Why not be original and take the time to create your blends of tea with herbs and spices? Don’t know where to start? Use warm and spicy herbs associated with the season such as: cinnamon, ginger or cloves. Dried apple or other fruits could add a sweet touch. It may take a few tries before reaching your own special blend. When you have reached a flavor and aroma that pleases you, put the tea in a jar and tie a bow with a tag containing your recipe and brewing recommendations. 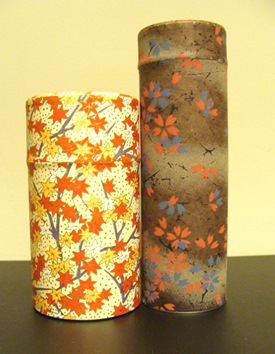 Washi tea tins – Tea tins decorated with Japanese washi paper are a beautiful and efficient way of storing tea away from odors and light. They come in many sizes and gorgeous patterns and colors. Set of special tea spoons – If the person you are buying the gift for likes to put sugar in her tea, consider buying a set of tea spoons. You can choose modern or classic designs and you can go as far as buying silver spoons. Tea cupping set – How serious is your tea lover about tea? 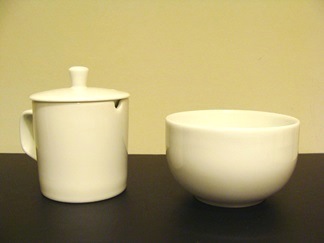 Consider buying a professional tea cupping set for them to take the next step in their tea tasting experience. Pair the cupping set with a bounded notebook so that your tea lover can jot down their evaluation of each tea they taste. Now let’s take a look at quick and easy presents that you can get for the Secret Santa. Usually the budget for these is low making it harder to find something nice. Mugs - Don’t give a mug unless you are sure the person needs or wants one. This is usually the easiest gift you can get, but there are better options out there especially if you are not sure what the person got last year. I got mugs in the Secret Santa four years in a row and it just took the fun out of the gift exchange. Small tins of loose leaf tea – You don’t have to buy the most expensive tea in the tea shop, but there are very good brands that sell good loose leaf teas at affordable prices. Scented sugars – Some gourmet shops sell scented or flavored sugars that add a special twist to a cup of tea. This could be a fun and colorful gift. Tea bag clip – Some tea lovers like using tea bags on occasion. However not all tea bags come with a string and a tag or the string simply breaks off. 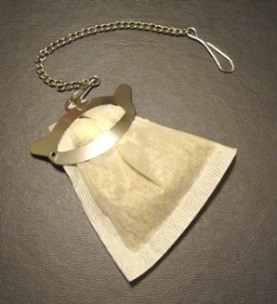 A tea bag clip is useful, for steeping the tea bag for the desired time only. Tea biscuits – Something sweet is always welcome during the holidays! You can buy biscuits to go with tea or, if you have a talent for cooking, make your own secret recipe and splurge on a metal tin to package your biscuits. I hope you find these ideas helpful and remember, it doesn’t matter how much you spend on a gift, it’s the time you spent thinking about the person you are getting the gift for. 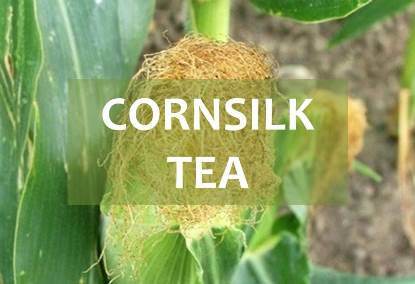 Corn silk tea is an herbal infusion that is recommended when you have a urinary infection. It is said to flush out the toxins and help sort out other urinary problems. Drinking this tea may also serve as a way to detoxify your body and restore balance in many body organs allowing you to feel better and more in tune with life. 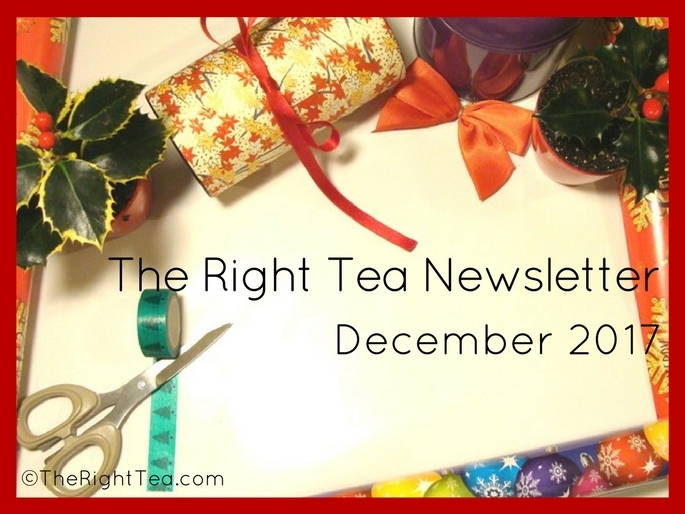 More information about tea is coming, so keep on the lookout for the January issue of our newsletter. While you wait, look around our website and learn more about tea and its health benefits.